This award was created in 2009 to provide national recognition for the families of Armed Forces personnel who have died on operations or as a result of an act of terrorism. The Elizabeth Cross and Memorial Scroll is not only granted to families who have lost loved ones in the recent operations in Iraq and Afghanistan; The Queen’s recognition is be available to the families of those who died in conflicts dating back to 1948, including the Korean War, the Falklands conflict and operations in Northern Ireland. Eligible personnel to be remembered in this way are those who were serving with, or former members of the Regular and Reserve Armed Forces or The Royal Fleet Auxiliary (RFA). Please visit the Ministry of Defence website for more information about eligibility and how to apply for the award. 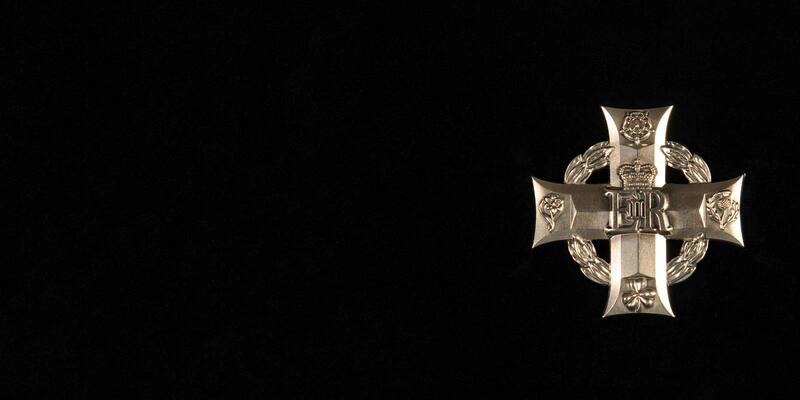 In most cases, the Next of Kin are normally offered the opportunity for the Elizabeth Cross to be presented privately and in an appropriate way, at the time of the funeral if they so wish. Such presentations may be made by the Lord-Lieutenant, or a senior military representative.